A subconscious Facebook 'like' may cause more harm than good. Temptation is everywhere—and no, we're not talking about the fast food restaurant down the street. By some estimates, in over one-third of marriages, one or both partners admit to cheating. Yikes. While the method of cheating is completely dependent on the cheater, the latest "cheating" craze (cringe) people are obsessing—and freaking out—over is micro-cheating. After sparking quite an uproar on the internet, psychologists agree that this form of cheating is something we should all be aware of—no matter how sweet your relationship may be. "Micro-cheating is a series of seemingly small actions that indicate a person is emotionally or physically focused on someone outside their relationship," data expert Melanie Schilling told Huffington Post Australia. Lying about your relationship status, engaging with a past lover on social media, or consistently texting someone without your partner knowing are a handful of ways someone might engage in this behavior. Social media and dating apps have brought a greater spotlight to this issue—but it's been around since the beginning of time. 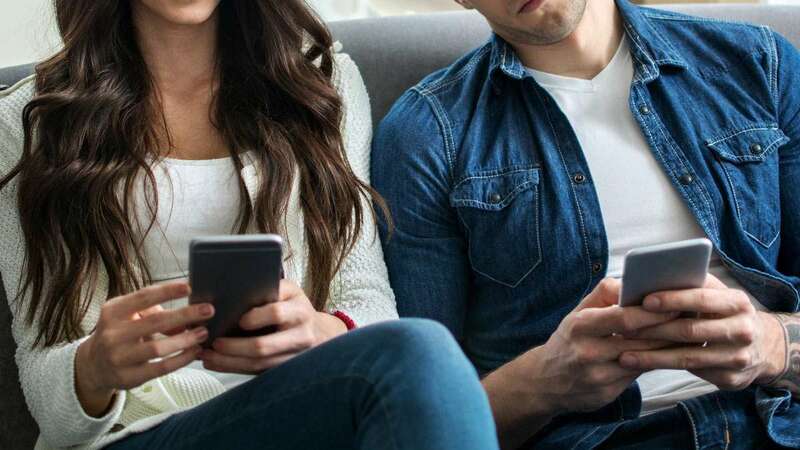 "Whereas people now send texts and private Facebook messages, in the past they exchanged love notes if not stolen glances," Susan Krauss Whitbourne, PhD, professor of psychology at the University of Massachusetts Amherst, told GoodHousekeeping.com. Can it ruin a relationship? For starters, micro-cheating can be a gateway to more detrimental forms of cheating. Depending on the person, a few sly text messages here and there can lead to a full-blown extramarital affair. "What's perhaps more relevant is how habitual the behavior is. A serial micro-cheater could put more strain on the partner because it's not just a one-off behavior that the couple can work through by communicating with each other," says Whitebourne. The problem with micro-cheating is that most people don't even realize they're doing it. What's the harm in a sweet Facebook comment or celebratory text message? Well, it can negatively affect your partner's perception of your loyalty to the relationship. "Micro-cheating usually produces a change in attitude and behavior that signals to a partner that something strange is going on," Tina B. Tessina, PhD, (aka "Dr. Romance") psychotherapist and author of How to Be a Couple and Still Be Free 4th Edition, told GoodHousekeeping.com. "Ultimately, this causes jealousy and guilt that can affect his or her behavior and how he or she thinks of the partner," she says. "Without an open line of communication—and most importantly, trust—a relationship may suffer in the long-run." So, is it a form of cheating? There's no clear-cut answer here. Generally speaking, micro-cheating can be a cause for concern. "Micro can turn to macro, and even if the cheating is 'harmless,' the fact that it's kept secret from your partner does mean that you've set up an obstacle to be close with your partner," explains Whitbourne. If any physical or emotional action takes place—no matter how small—Whitbourne suggests that micro-cheating can lead to something more serious. "As long as your romantic or sexual thoughts are straying, it creates a type of barrier between you and your partner," she says. "Behavior such as flirting or acting on a romantic impulse does constitute cheating in the technical sense of the word." In short, action differentiates cheating from a wandering eye (or subconscious Instagram like). "Micro-cheating isn't really considered cheating until some event takes place," says Tessina. Is it a be-all and end-all for a relationship? Absolutely not! But say you notice that your partner pays a little too much attention to a particular person's Facebook feed. Or you notice that very same thing about yourself. Both Tessina and Whitbourne agree that micro-cheating can be stopped before damaging a relationship. The solution is simple: you have to talk through it. "The good news is that although micro-cheating can be detrimental to a relationship, when you catch yourself engaging in this behavior you can stop yourself," says Whitebourne. "Use this as a jumping-off point for an honest discussion with your partner, which can remove the third party from the equation and lead to greater relationship fulfillment in the long run." But before you even get into this mess, Tessina recommends that all couples—yes, all—figure out what cheating means to them. "You and your partner should define what cheating is, and how far you each can go getting close to others before you break your agreement," she says. Regardless of micro-cheating, a relationship can only work if there is trust and honesty from both parties.